We can create any style of interior to suit any style of location. Our portfolio includes numerous stunning projects in the following areas: retail shops, restaurants, cafes, bars, pubs, club-houses, offices, classrooms, kitchens, living rooms, bedrooms, hallways, bathrooms, dining rooms, conservatories, games rooms, accessories and custom furniture. All of our unique interior design schemes include the full services you'd expect; detailed architectural plans, 3D concept illustrations, materials and colour sample boards, shopping checklists and/or quotations for construction. Following the initial surveying and planning of your premises, we then research your exact needs and produce the best design based on your comments. 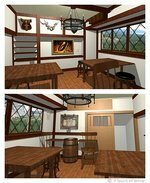 We can provide CAD (Computer Aided Design) plans for electrical, structural and plumbing considerations, plus detailed elevation views. We produce photo-quality illustrations of how the finished design might look, to enable you to instantly 'see' the design come to life. Undoubtedly the quickest way to get a true feel for a scheme, these conceptual images can be produced within approximately one week. 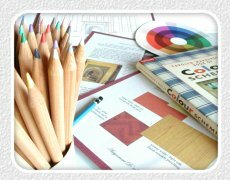 In addition to the 3D 'photo' illustrations, we also provide a full set of colour boards and samples, to enable you to see how the materials (fabrics, woods etc) all combine in real life. If you wish to handle project construction with your own independent contractors, we can provide 'shopping' lists of necessary materials for the design, with details of approximate quantities you will require. 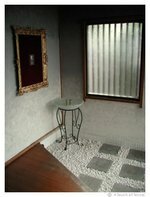 If you would prefer the benefit of our considerable experience in managing interior design projects, then we would be more than happy to deal with the organising of subcontractor firms, the sourcing of materials, and the completion of all construction to the highest quality (Fukuoka area only).